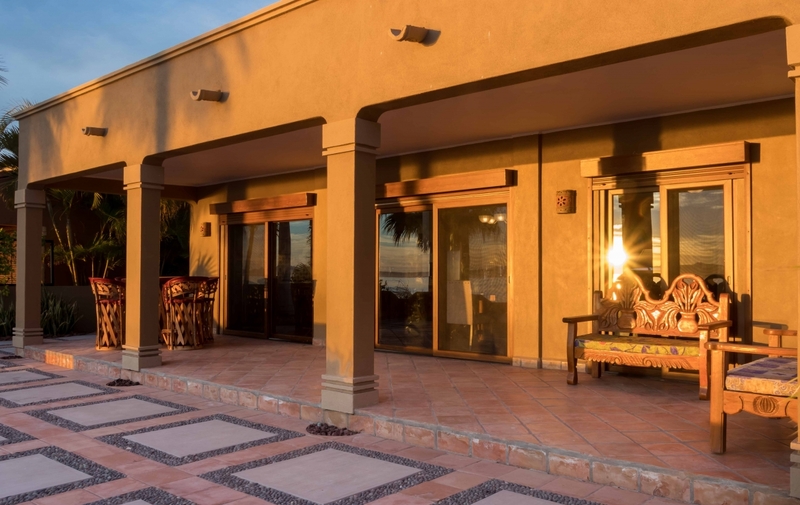 Experience true elegance in this newly remodeled, fully furnished three-bedroom, two-bathroom family home, located right on the beach. 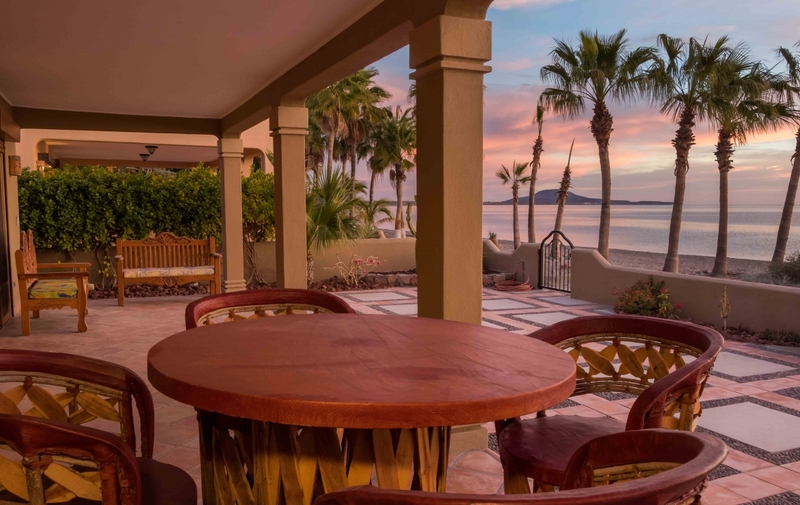 As one of the only two available beachfront properties for under $1 million in Costa Loreto, this home is a steal! 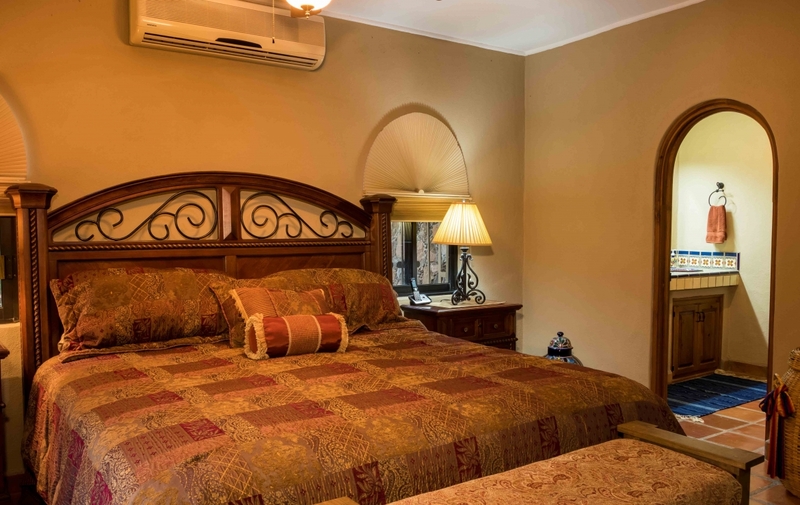 Features include updated flooring and pool, a brand new kitchen along with cabinets and appliances, PVC-upgraded windows and doors, and newly added hurricane shutters. 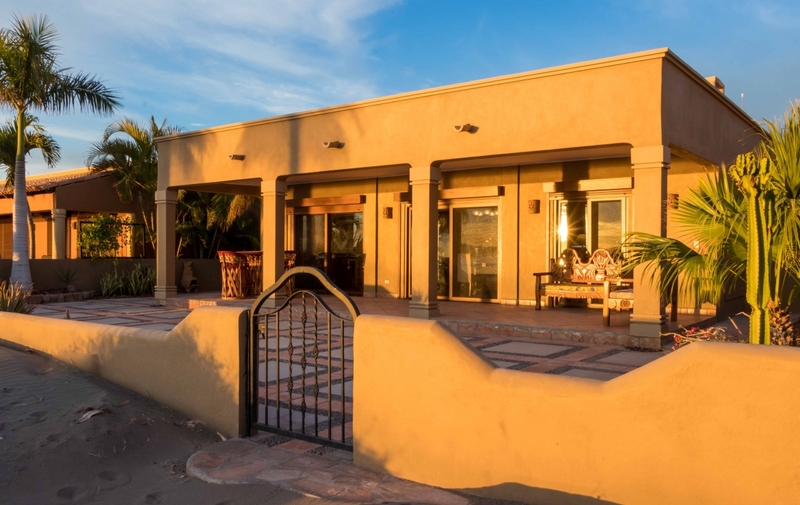 Beautiful landscaping lines the perimeter of this front- and back-gated home. 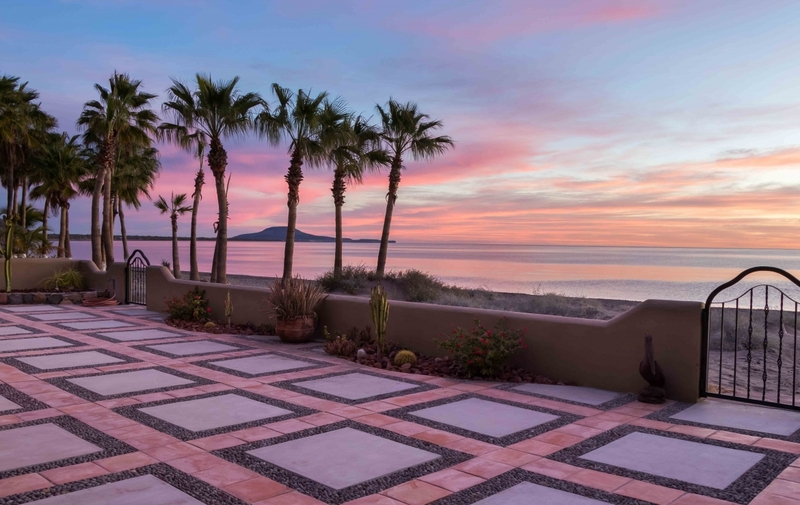 Palm trees frame the massive double back patio and sandy beach entrance, where you can admire the splendor of the sunrise’s soft pinks and blues in this quiet neighborhood. 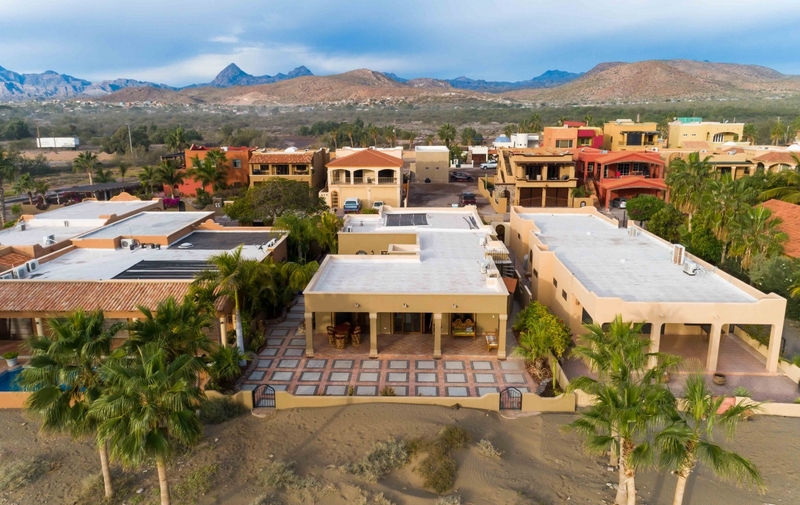 A staircase leads up to the flat rooftop, which has potential as an additional outdoor space to enjoy the Sierra de la Giganta mountain ranges fading into the distance. 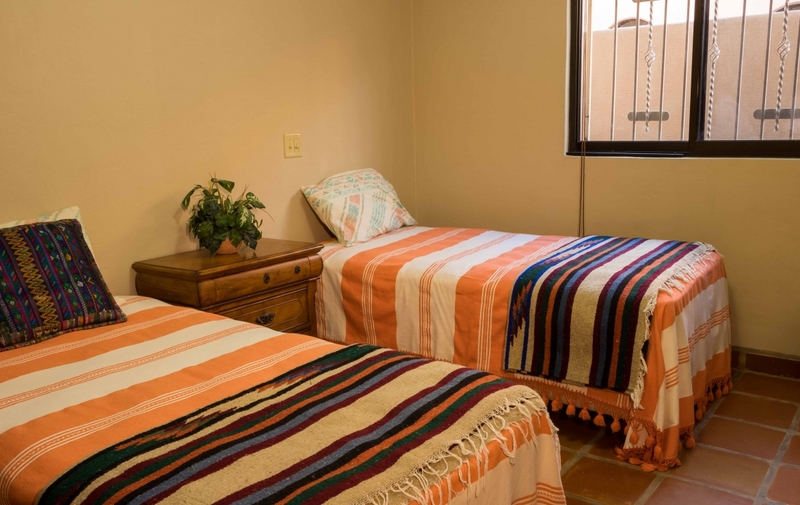 A large garage complete with starter tools and a washer/dryer holds ample space for two cars plus sports equipment such as kayaks and paddleboards. 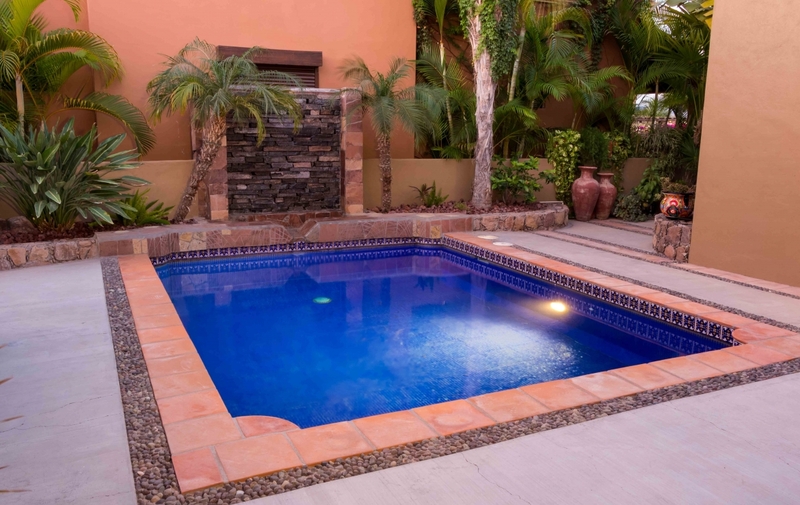 If you’d rather lounge in the water without leaving home, take a dip in the courtyard’s royal blue plunge pool, ideally situated in the middle of the floor plan for year-round enjoyment, even during winter months. 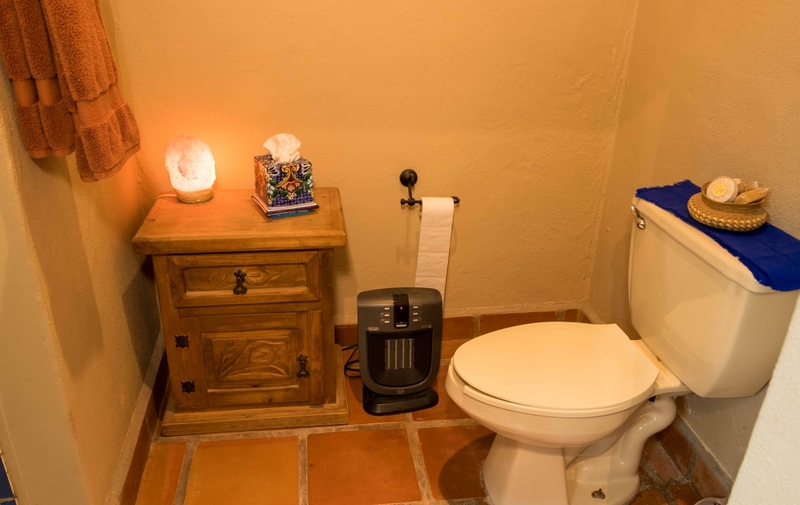 The soothing sounds of an adjacent trickling stone fountain give way to ultimate relaxation. 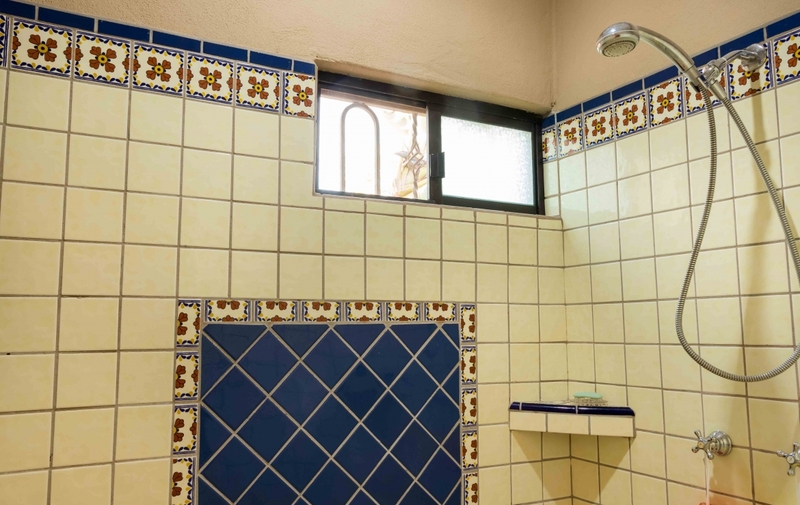 Additional features include a private outdoor shower and BBQ hookups for those special occasions. 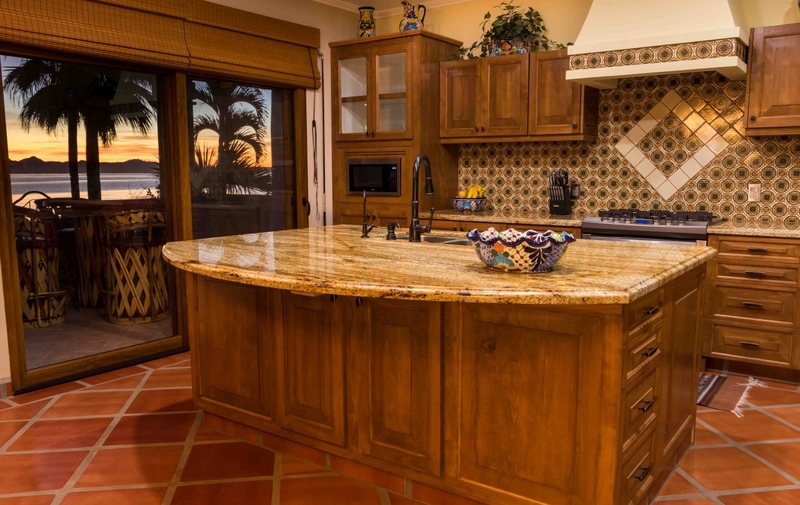 Inside, the open-concept kitchen, dining, and living space work together to ensure a highly interactive environment. 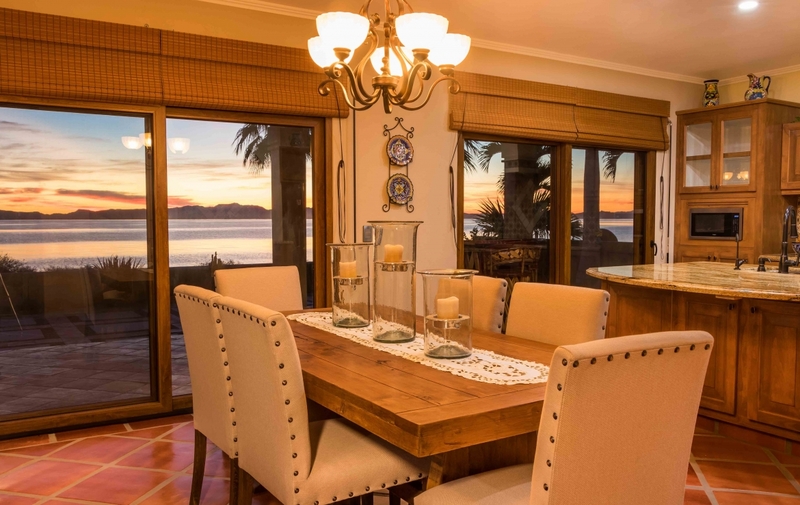 Whether cooking up a fresh meal, engaging in conversation at the rustic wooden dining table, watching a favorite TV show on the cozy sofa, or enjoying the ocean view through the sliding glass doors, friends and family alike will enjoy the communal aspect of this multi-functional space. 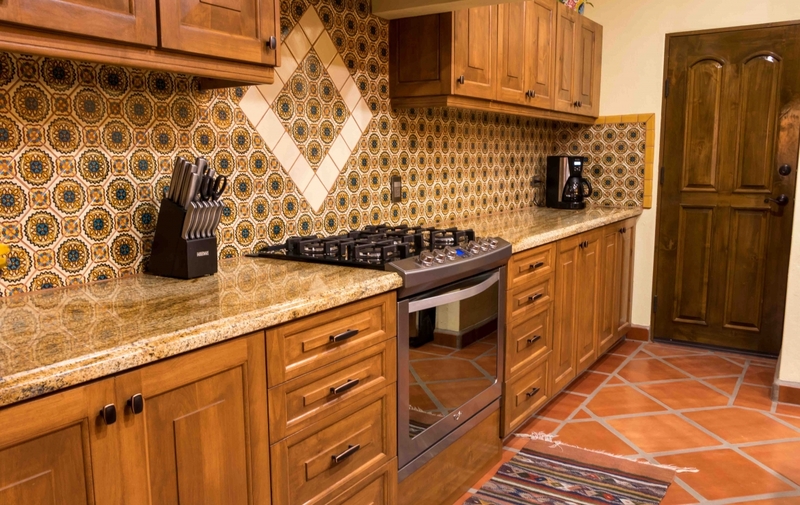 The kitchen features elegant Mexican Talavera-tiled backsplash, wood cabinetry, a large island with tons of storage space, and stainless steel appliances including a microwave, stove, oven, and refrigerator. 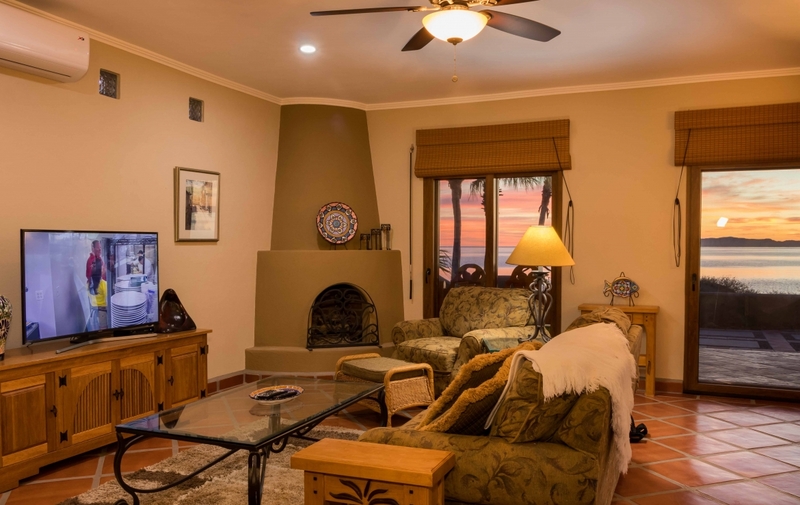 For the cold winter nights, the living room’s fireplace is perfect for warming up. 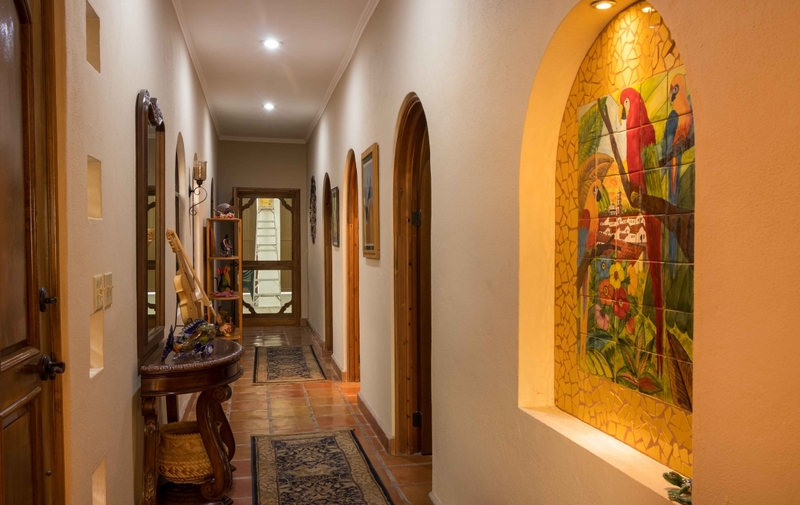 Step through to the hallway lined with tasteful artworks depicting the beauty of Spanish-colonial Loreto and its wildlife. 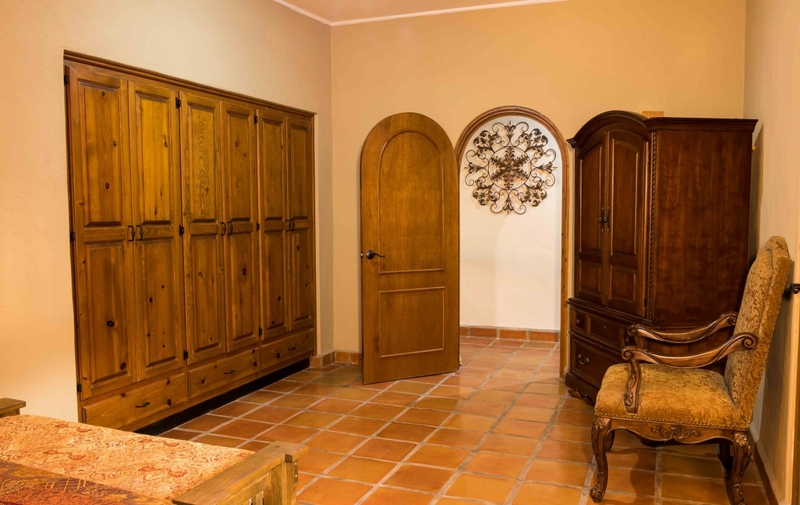 The arched doorways lead to the bedrooms, each with rich wooden and gold tones and plenty of closet space. 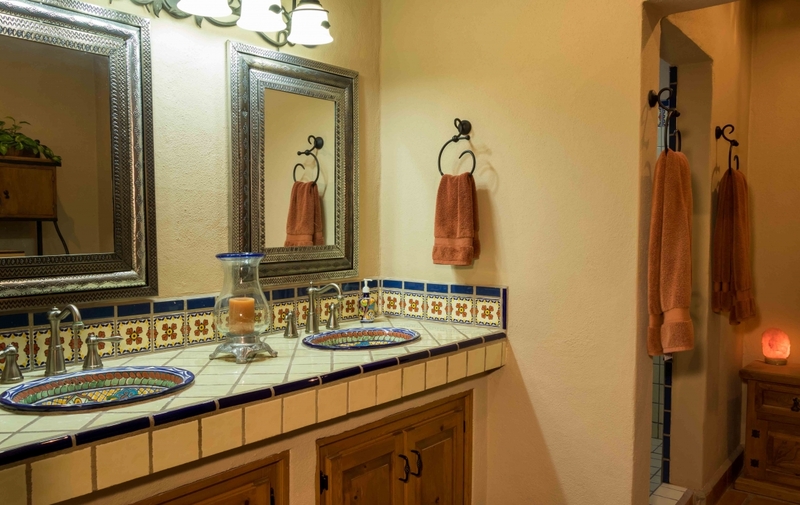 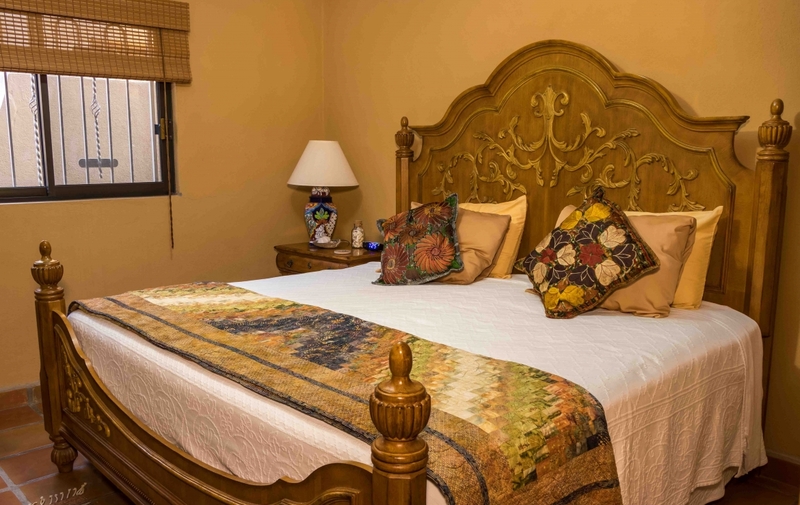 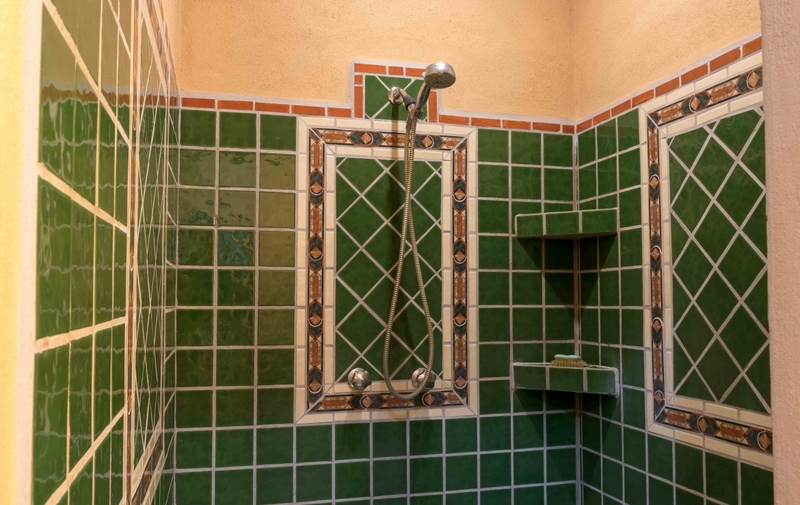 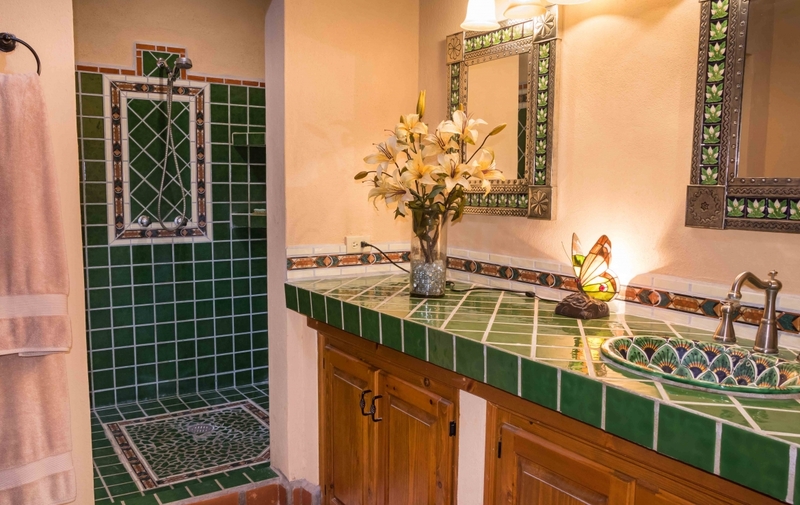 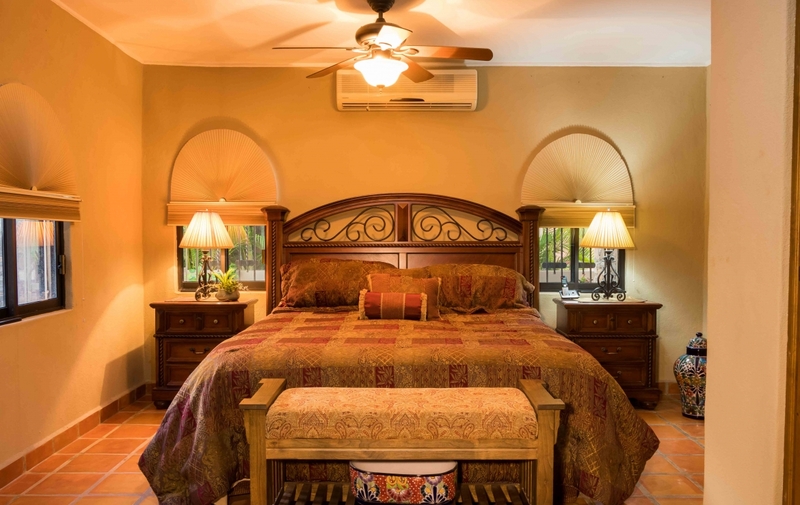 The bathrooms are beautifully decorated with Talavera tiles and intricate detail in the sink basins, with the master bathroom featuring a double vanity. 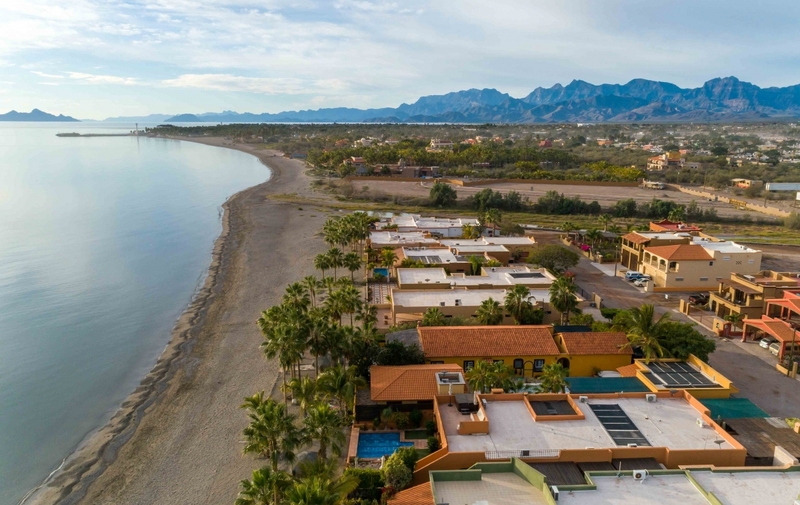 As one of the safest locations in Mexico, Costa Loreto impresses with unspoiled beaches, and the calm waters of the Sea of Cortez make it an excellent spot for outdoor activities such as paddleboarding, kayaking, diving, sport fishing, snorkeling, and boating. 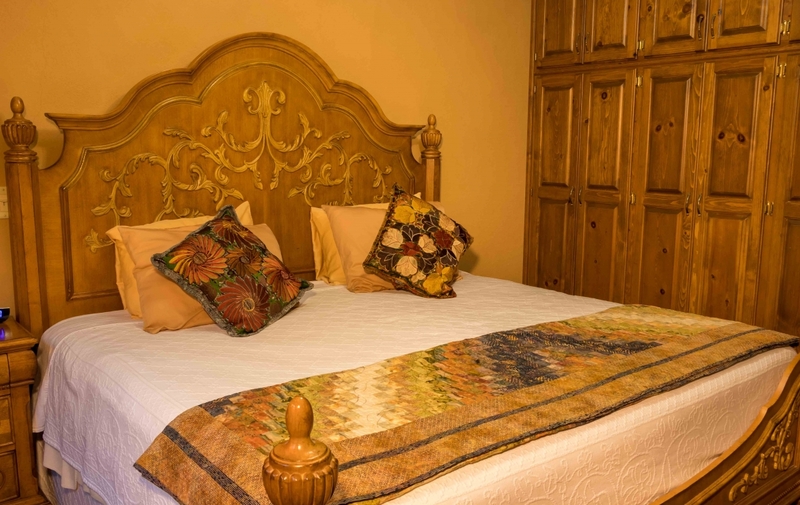 And even with its quaint, small-town feel, the town boasts over 70 restaurants to choose from. 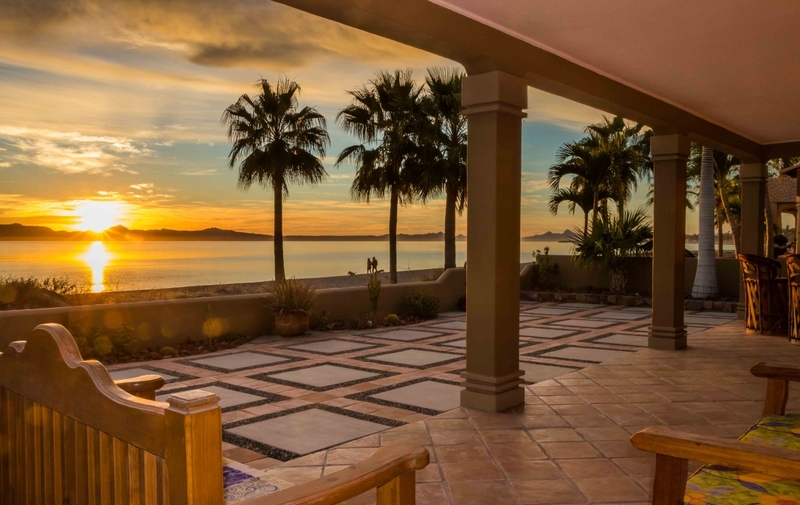 Take your pick from the homestyle cuisine of downtown, or dine oceanside for spectacular views. 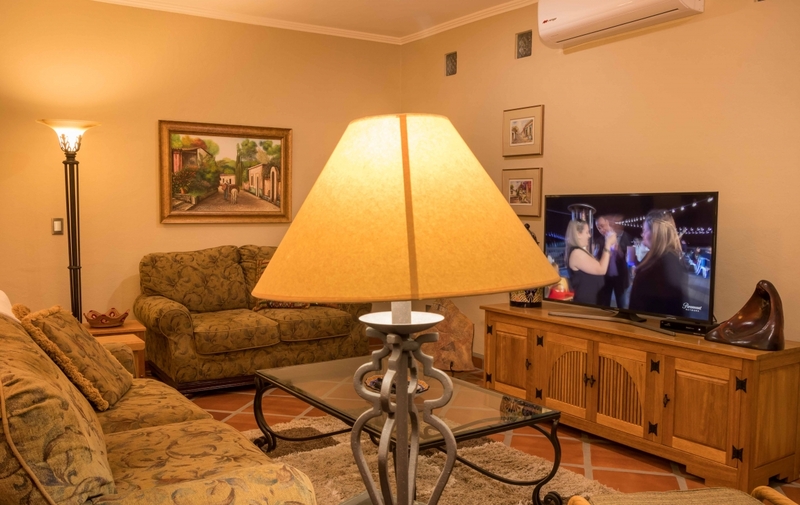 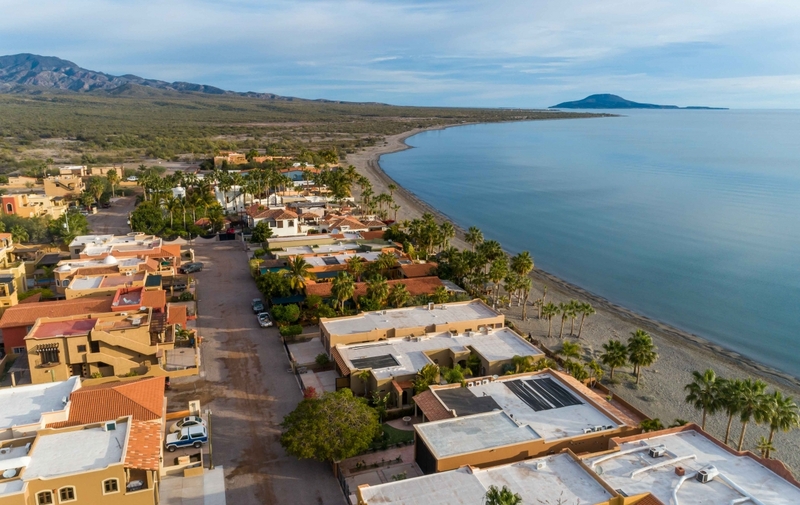 Conveniently walkable with an array of community amenities and events, this charming town is the perfect place to settle into and instantly feel at home! 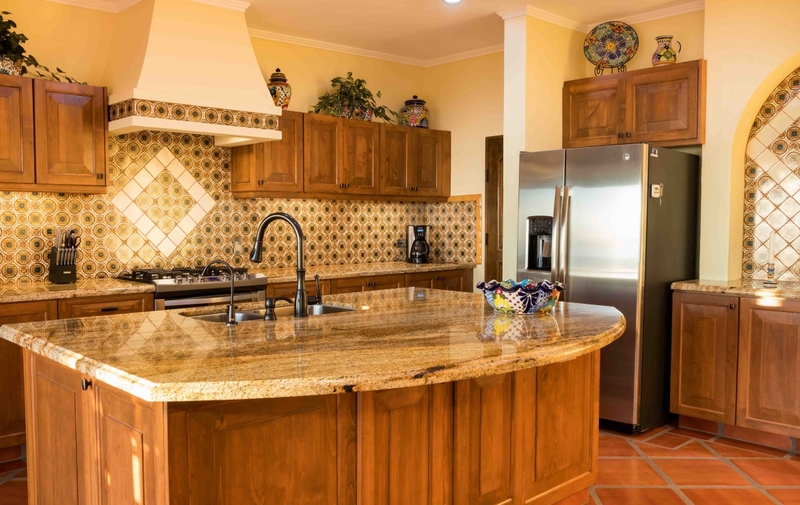 Don’t miss out – call me, Jay, at +1-949-836-0073 / +52-613-113-8218, or email [email protected] to schedule a tour of this turnkey home today! 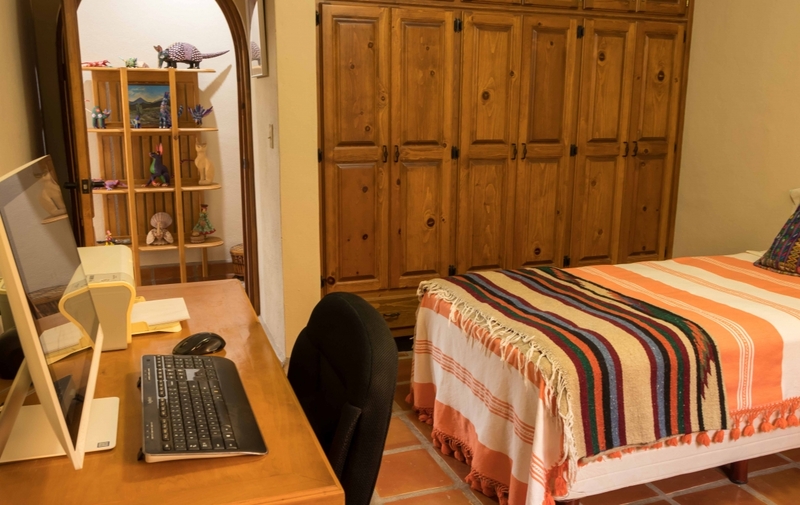 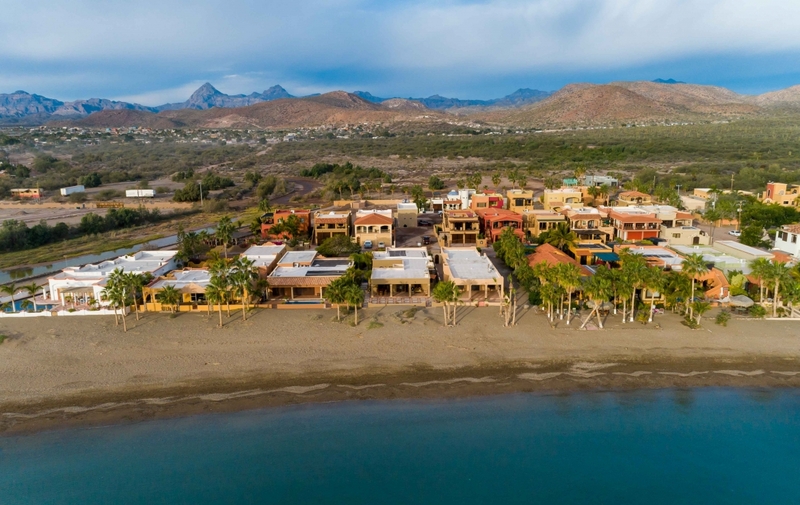 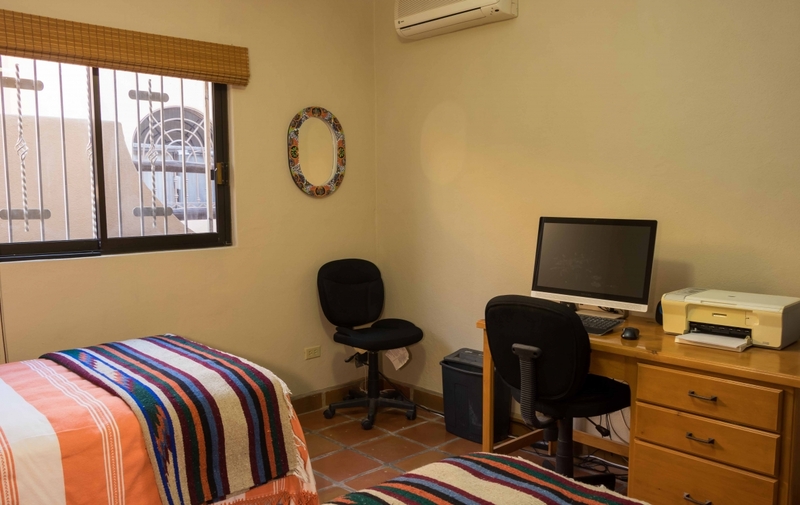 At Outpost Realty, located in downtown Loreto, we offer a full-service, highly knowledgeable and dedicated team of real estate professionals and agents. 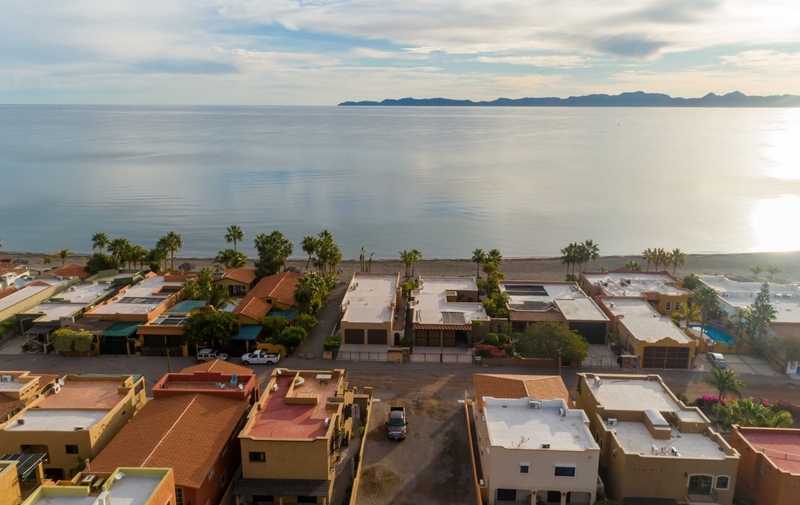 As experts in the transfer process and bank trusts, we work seven days a week to ensure a smooth and efficient home-buying experience for our clients. 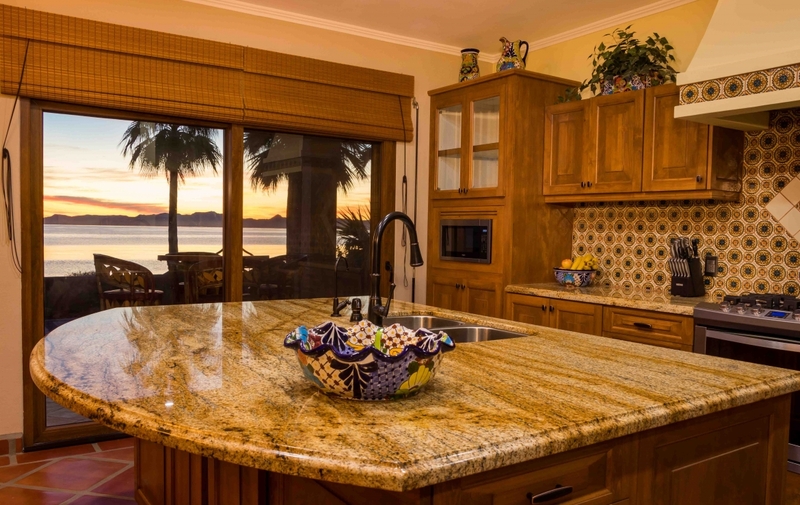 We look forward to speaking with you and helping you find your perfect home!